Want a roomier fit? 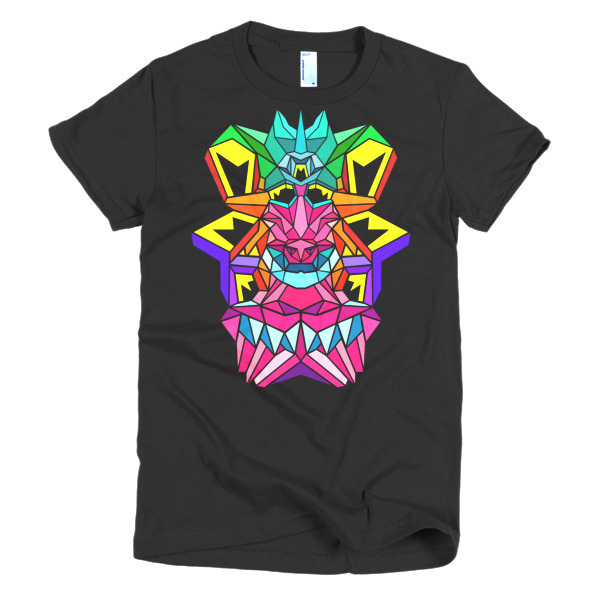 Check out the men's Crystal King Ape t-shirt for larger sizes. 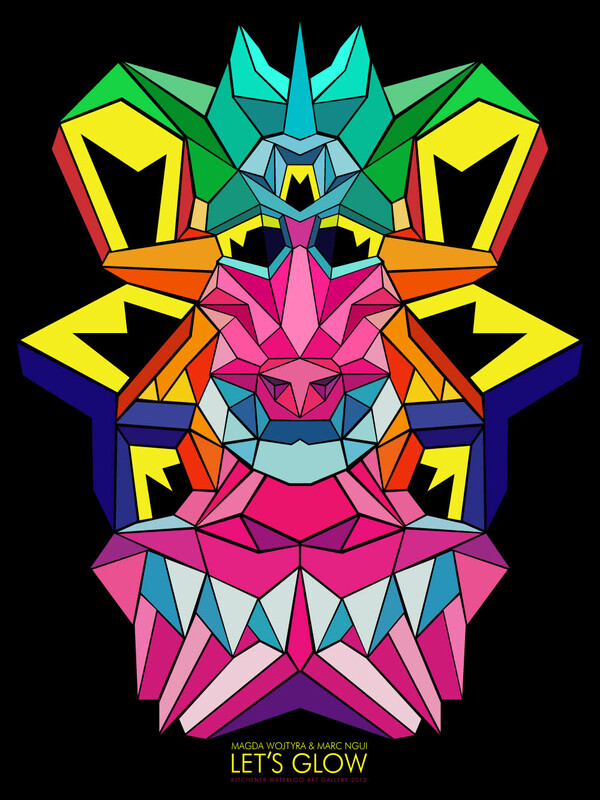 Crystal King Ape,18″ x 24″, offset print, 2012. The poster is for the Let’s Glow exhibition and shows a still from one of the animations in the show.